Corner lot in the highly desirable Lake at Anselmo subdivision! 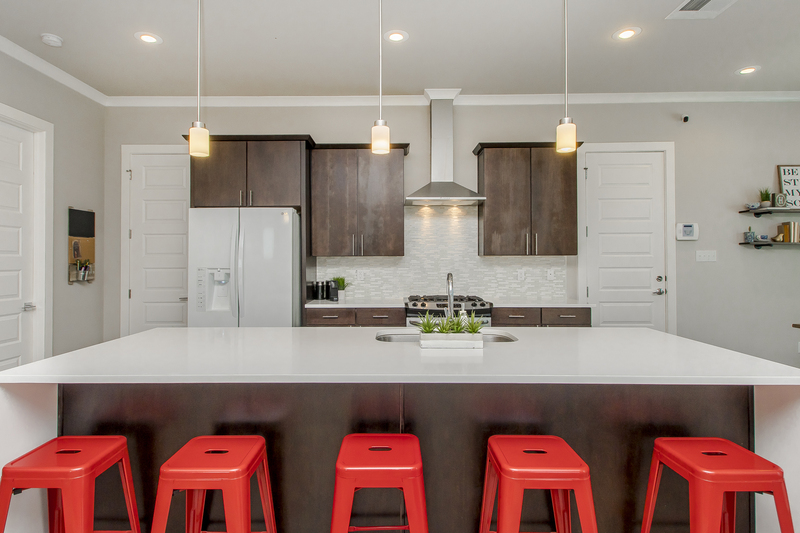 Come see this elegant contemporary style home in the center of Baton Rouge! Conveniently located minutes from Perkins Rowe, The Mall of Louisiana, hospitals, restaurants, shopping and the list continues! This home comes equipped with 3 bedrooms, 2 full bathrooms, and a convenient half bathroom! The living room and kitchen area is filled with an ABUNDANCE of natural light, which showcases the luxurious features of this home. The kitchen boasts 3CM slab quartz countertops, stainless steel appliances, upgraded glass tile backsplash, under mount sink, and soft close doors on the cabinetry (which are found throughout the entire home). As you walk through this open floor plan, you will find custom fitted blinds and custom built shelving throughout, including upgraded flooring in the master bedroom. The backyard is fenced in for privacy, and allows for the perfect spot to relax and enjoy the day! On top of the luxurious features, this home also offers energy efficient systems which include: Tankless hot water heater, radiant barrier roof decking, LOW E-3 double insulated windows, and SO MUCH MORE! Please schedule your private showing today, as this BEAUTY will not last long at all! Call or text 225.335.5395 or CLICK HERE for more info.